Best known around town as the district “where the boys are,” the Castro is host this week to the annual Noir City Film Festival. 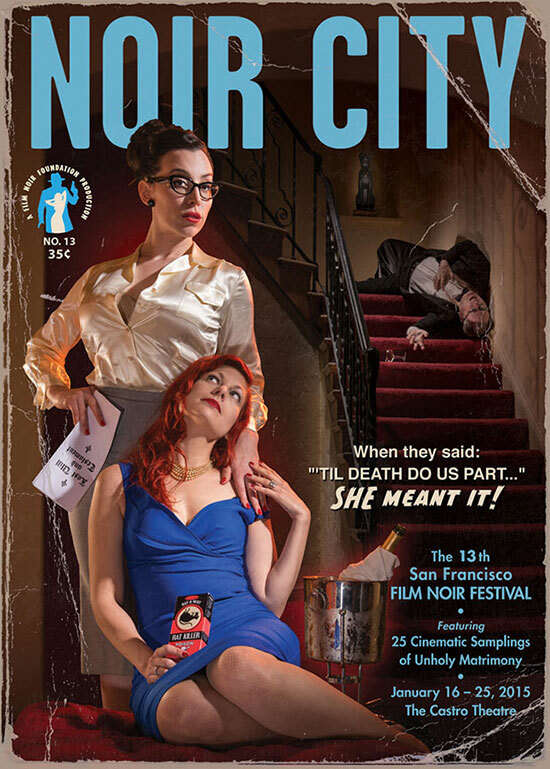 Now in its 13th year in San Francisco (it began at Hollywood’s American Cinematheque as part of their regular programming), it’s the flagship of several satellite festivals also sanctioned by the Film Noir Foundation. Since the 1970s, San Francisco’s Roxie, The Grand Lake in Oakland and the U.C. Berkeley’s Pacific Film Archive have all done excellent film noir programming but there’s never been anything quite like Noir City. That’s due primarily to charismatic host and founder Eddie Muller. Many of us have gotten the bulk of our education in film noir from his books, DVD commentary and screening introductions. He and co-host Alan K. Rode (the Jerry Doggett to Muller’s Vin Scully) set the historical context with entertaining anecdotes for the capacity, multi-generational audience that includes many noir savvy cinephiles. This years focus is on marriage with a noir twist. 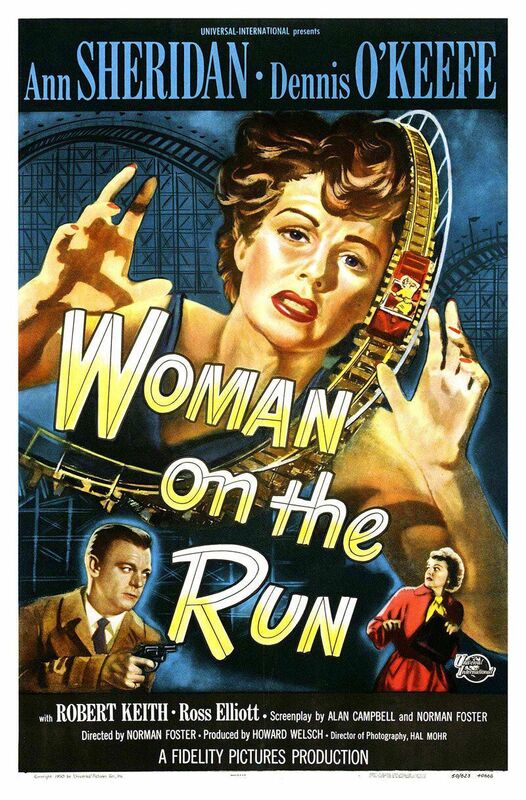 First up was Woman on the Run (1950), directed by Orson Welles protegé Norman Foster. The sparkling print projected at the first Noir City was later destroyed in a studio fire. Thanks to the efforts of the Film Noir Foundation, another usable print was found and preserved by the UCLA Archives, housed somewhere far from the torches of negligent union welders. 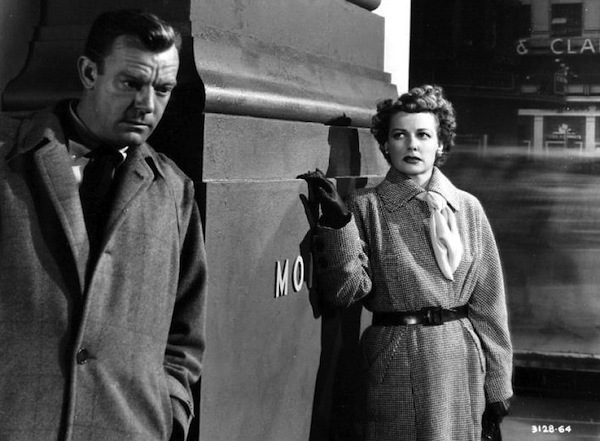 Ann Sheridan snaps and crackles as Eleanor, a woman caught between the San Francisco police and a killer. Familiar San Francisco locations thrilled the hometown crowd. Dennis O’Keefe [T-Men (1947), Raw Deal (1948)] shows up as Dan Leggett, a smooth talker who claims that his editor at the (fictitious) San Francisco Graphic can help her. Perhaps best known as James Cagney’s love interest in Angels with Dirty Faces (1938), Sheridan is every bit the match of O’Keefe in their repartee. Muller noted that she developed Woman on the Run as a producer and contributed some of the dialogue.